DYNAMIC FORCES® - STAR WARS #2 CGC GRADED 9.8! 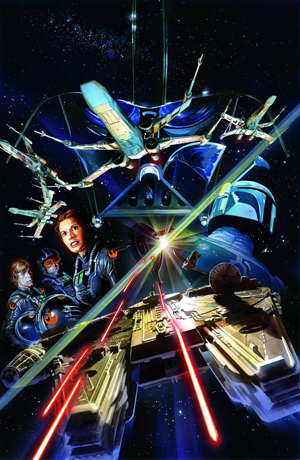 A cagey young Imperial officer seems to anticipate the Rebels' every move, so Princess Leia forms a "stealth squadron"-including Luke Skywalker-to expose a suspected spy within their ranks. Meanwhile, Han Solo and Chewbacca run afoul of bounty hunter Boba Fett, and the Emperor sends Darth Vader on a secret mission!